This is a contributed article from Ashley Overton At ShipperHQ. Most of us have experienced this when shopping online, especially when shopping for our businesses. You find a great price for exactly what you’re looking to buy, add a large quantity to the cart, and go to check out. It’s a negative experience for online customers. They expect to be able to complete their order online, even if the shipping is LTL (less than truckload freight). Some of those online businesses may also be getting a bad deal too. There are at least three ways that this frustrating message could be hurting them. When it comes to ordering costs and e-commerce checkouts, who needs surprises? Businesses wouldn’t make their customer guess the purchase price of the items they are selecting. 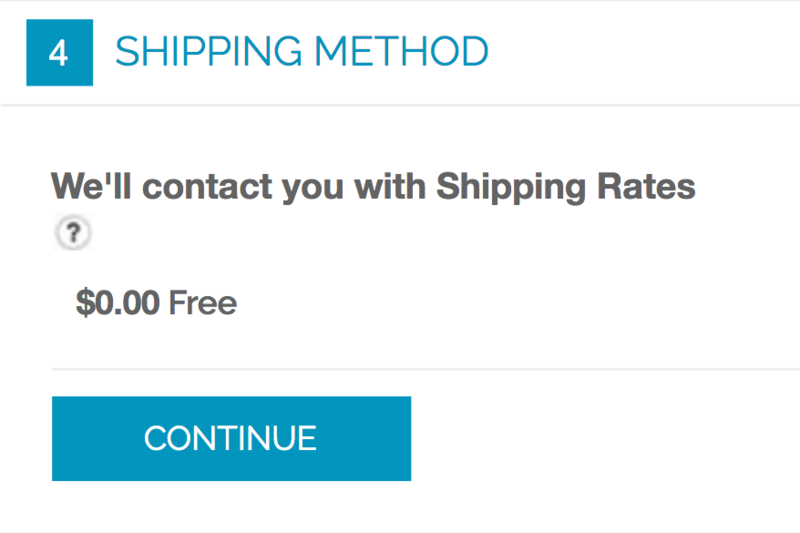 Why would they want their customers guessing the shipping cost? LTL freight is generally used for orders or products that are larger in weight or volume. Shipments that go that way will inevitably cost more than couriering small packages. Some customers may not take too kindly to the freight cost, especially if they were already suspicious of being taken for a ride (why else would shipping rates not be posted?). That’s assuming that the sale gets that far. Shipping charges are the highest source of cart abandonment. In fact, 28% of abandonments happen when customers are faced with something unexpected about paying for shipping. And that clearly includes situations when rates are not immediately available. Most customer service is provided through online content. It’s a cost-effective channel and generally very convenient for the customer. Although customer service centers are a more expensive support channel, they play a valuable role in meeting occasional customer needs. Companies that don’t provide online freight rates, can expect their Customer Service team to be dealing with additional shipping query calls. Depending upon the additional volume, and factoring in the time taken to determine freight costs (potentially including a customer call back), that cost may be considerable. Of course, whenever a customer rejects the freight charge, that cost becomes wasted cost. Some businesses get around this by posting simplified freight costs. But freight can get complicated. If only standard rates are posted, then some customers will be given the wrong rates at checkout. For those orders, that, unfortunately, means the customer needs to get a follow-up call after payment to get the bad news. That’s either that the order can’t be delivered to the specified location, or that there’s still more freight to pay. For many companies, these issues are not big issues. But some companies know they’re getting it wrong on cart abandonment, higher customer service costs, post-order shipment problems, and all the knock-on effects these have on customer satisfaction and future sales. Getting it right would mean that there are live LTL freight rates at checkout. Improved efficiency and more satisfied customers could be a real game-changer for those online stores. Ashley is the Marketing Assistant at ShipperHQ and dedicates her time to educating merchants the opportunities ShipperHQ can open for their business. She is a proud graduate of The Ohio State University, where she fell in love with the study of strategic communications and marketing. ShipperHQ provides shipping rate management, even for LTL freight shipments. Connect checkout with live rates directly from carriers, and set carrier rules, surcharges and discounts. What is the Merchandise Processing Fee?